My work is deeply rooted in a mindful practice of seeking beauty in the everyday and imperfect to create unique, thoughtful and exquisitely crafted work. If we shift our perspective, literally and figuratively, I believe that something that we would otherwise overlook or think insignificant can emerge with a powerful narrative, texture and tone — with great beauty. For me, it is observing things worn and weathered, decayed and frayed that most often leads to inspiration for the patterns and imagery that are integral to all of my work. Each piece is a work of art that tells a story. Lori Harrison is an artist and designer based in Toronto. 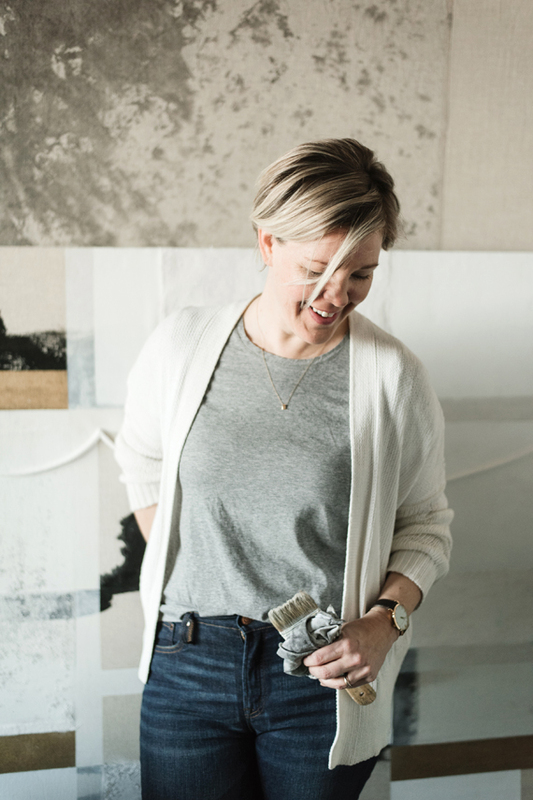 Lori first gained recognition through her design work which has been represented by some of the best design showrooms in North America and featured in prominent design media such as House & Home, Design Sponge, Style at Home among others. She has received several prominent commissions including work for the Canada House in London, UK. Now that she has turned more of her focus to fine art, her work has been steadily gaining interest and acquisitions among private collectors, art consultants and award winning interior designers.